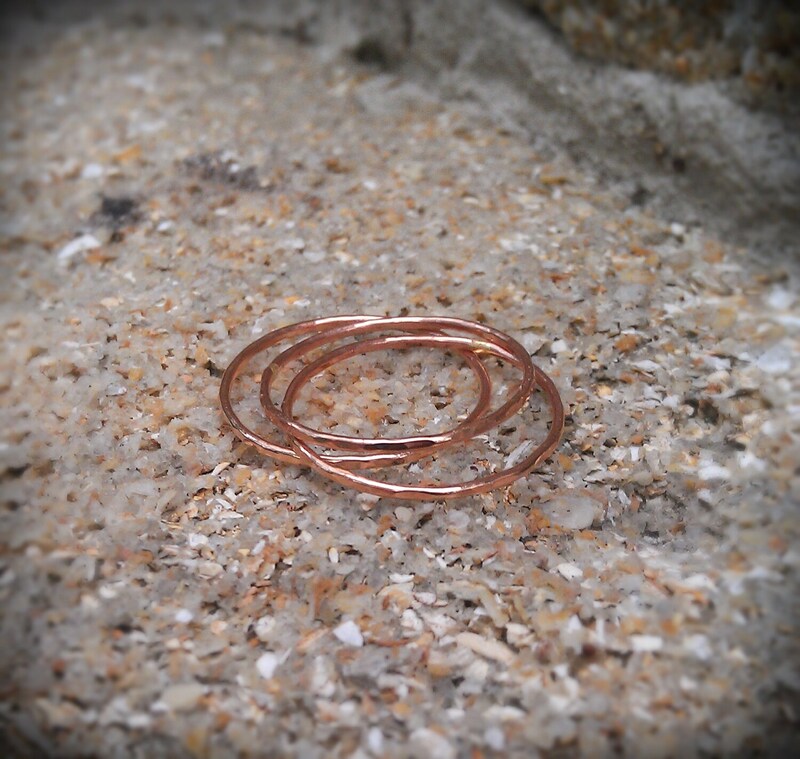 These lovely, delicate rings are hand forged and hammered using a 14K rose gold filled wire (20 gauge). 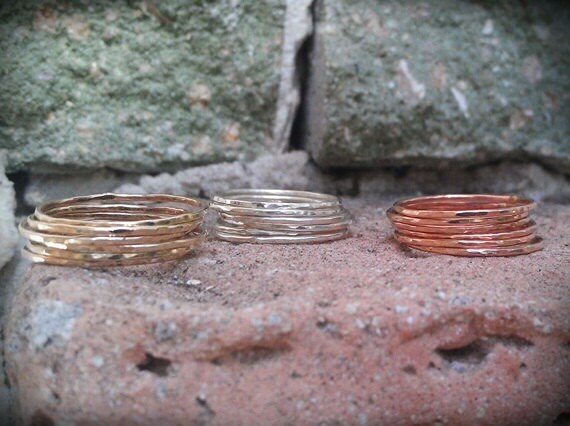 Each rings is unique and has nice organic texture. Light and comfortable, they go great with any style and are made with great care to ensure years of wear! 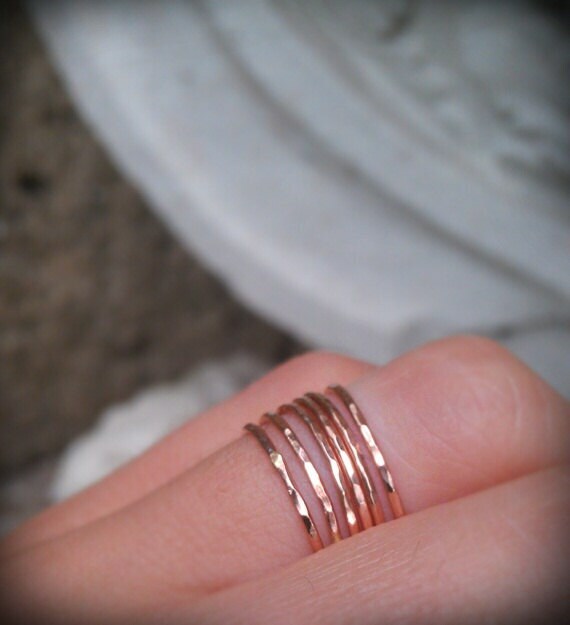 Stack them up, or mix and match! 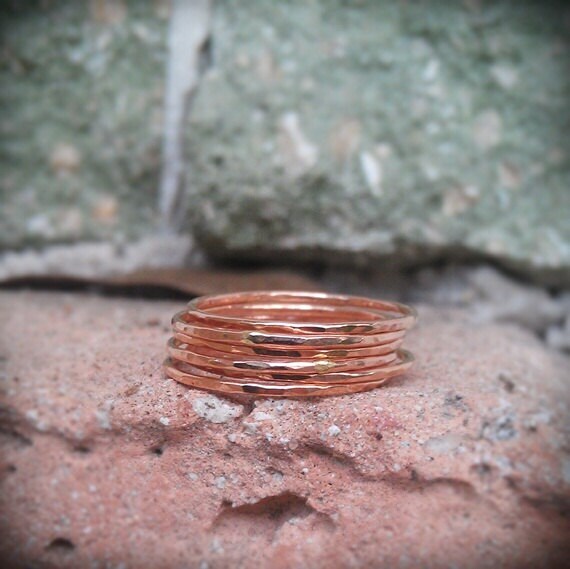 This listing is for 7 rings, but if you prefer a greater number or would like to mix with yellow gold, or sterling silver please contact me so I can set up a reserve listing!